He joined the soccer team a long time ago at Sakura Jyousui, but quit immediately because the 3rd years never tried and Tatsuya too serious. 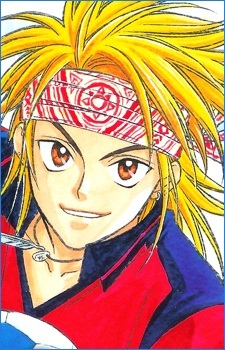 Shigeki only rejoined the team because he saw that Shou had made the team seem more interesting. Shigeki is relaxed and always shows his tough side. He likes to be called Shige rather than Shigeki. He has a Kansai-ben or Kansai dialect, and likes to give nicknames, such as the favorite Tatsu-bon for Tatsuya and Pochi (puppy) for Shou.